Nvidia missed a mighty opportunity at its CES keynote Wednesday night. CEO Jen-Hsun Huang could have walked out onto stage, gazed out at the crowd of (at least some) PC enthusiasts, and whispered “144Hz, HDR, 4K, Quantum Dots, G-Sync.” Boom. Drop the mic. Keynote over. Meet the first G-Sync HDR monitors. 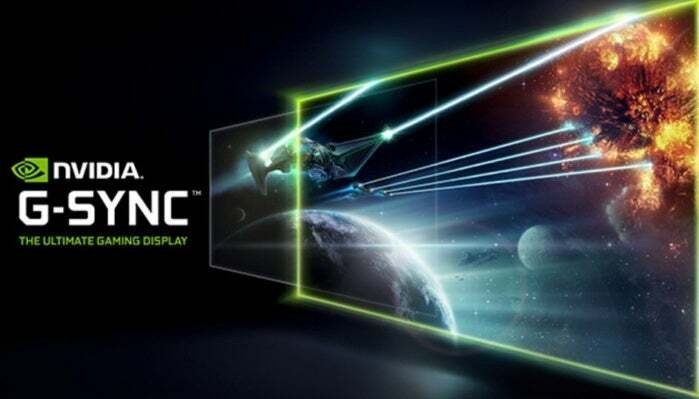 A mere day after AMD announced its own HDR-centric FreeSync 2 certification, Nvidia introduced its own HDR G-Sync gaming monitors, and woo boy do they sound badass…even if they apparently didn’t warrant any mention whatsoever at Nvidia’s keynote itself. 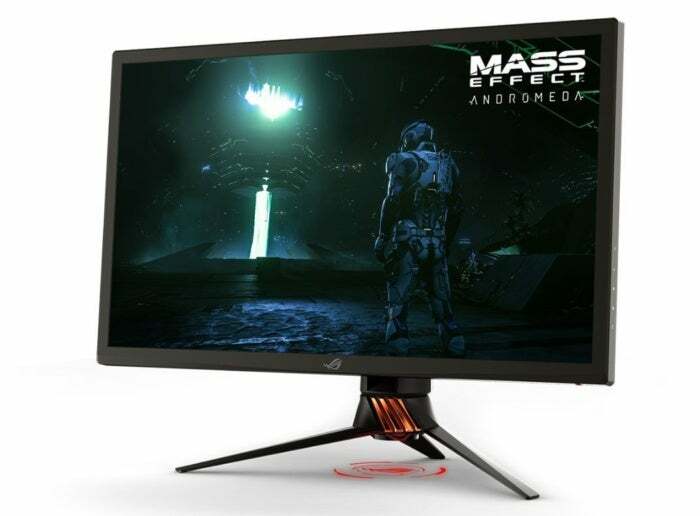 Created in partnership with AU Optronics, these virgin HDR G-Sync displays check virtually every box you could ask for if price were no object. Beyond the high-level jaw-droppers mentioned above, the first HDR G-Sync panels shine at a whopping 1,000 nits of brightness, with 384 backlight zones that can be individually controlled to help the brightest colors and deepest blacks coexist side-by-side. That’s because HDR’s core purpose is to greatly expand the dynamic color range of displays. 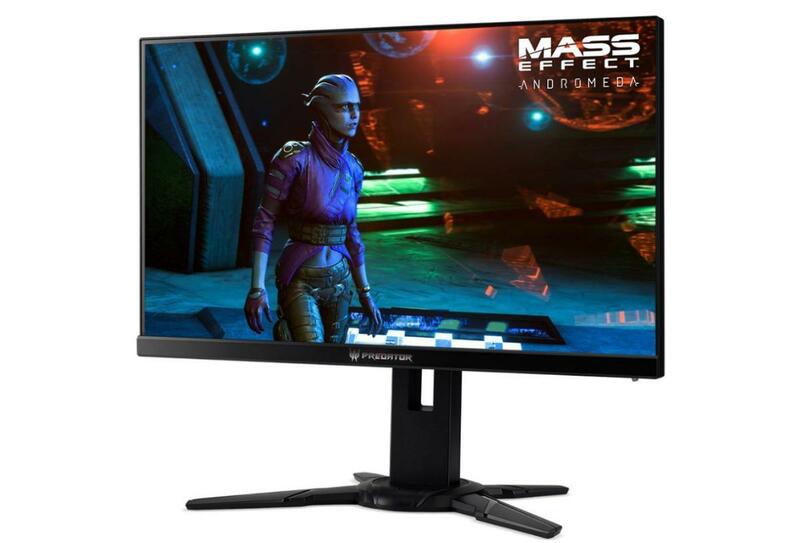 To that effect, these first G-Sync HDR monitors support the HDR-10 standard, along with a DCI-P3 cinema grade (read: swanky and accurate) color gamut bolstered by the addition of a Quantum Dot Enhancement Film. The Acer Predator XB272-HDR G-Sync monitor. Picture quality isn’t the only highlight in these beasts. They’re still G-Sync monitors, after all, which means they’ll deliver buttery-smooth stutter- and tearing-free gaming experiences. Nvidia also says that unlike HDR TVs, these G-Sync HDR monitors were designed from the get-go for “near-zero input latency.” These should feel as good as they look, basically. The first G-Sync HDR panels are essentially the Rolls Royces of PC displays, luxurious in every possible way. I saw an Asus model in the flesh at Nvidia’s booth at CES 2017 in Las Vegas, and it was just as impressive as you’d expect. One image of an explosion was so vivid that I instinctively flinched and covered my face with my hand. My mind could feel the heat that wasn’t actually there. The Nvidia representative laughed and said that was the reason they used that particular scene to highlight G-Sync HDR’s capabilities. The Asus ROG Swift PG27UQ G-Sync monitor. That said, there’s a major difference between FreeSync 2 and the first G-Sync HDR monitors that is worth pointing out. While FreeSync 2 is a standard that individual monitors have to meet, these delightful sounding G-Sync panels are products instead. There’s no guarantee that any other potential G-Sync HDR monitors will live up to these lofty precedents—just that these particular ones do. That contrast is crucial, though Nvidia’s done a stellar job of keeping G-Sync monitors consistent and, well, badass up until now. Speaking with Nvidia representatives after the announcement, they said that while G-Sync HDR isn’t a defined specification like FreeSync 2, Nvidia definitely has a certification process for the monitors. Future models will be at least as good as the two glorious examples announced at CES, though they may come in different resolutions and refresh rates. Speaking of which, two long-time G-Sync partners will be the first at bat with these 144Hz, 4K, Quantum Dot, HDR G-Sync displays (whew). Look for the Asus ROG Swift PG27UQ and Acer Predator XB272-HDR to land sometime in the second quarter of 2017. For how much? Nvidia isn’t saying, but considering the premium on current G-Sync panels and the no-compromises list of high-end features in the first G-Sync HDR panels, your firstborn will likely make for the start of a decent down payment. Editor’s note: This article was updated to include first-hand details and information from a demo with Nvidia.